If you are looking for business opportunities in Thailand, then in this guide we are going to share some of the best small business ideas in Thailand which you can start in 2019. Anyway, here are 10 new small business ideas and opportunities which you can consider even if you have a low investment. Thailand is a beautiful southeastern Asian country and best known for tourism. Most of the Thai economy relies on tourism and it generates lots of tourism related small business and investment opportunities for locals as well as for foreigners. In Thailand, Tourism is on its peak these days. According to the Ministry of Tourism and Sports, only tourism industry contributed 17.7% share in the Thai GDP in last year. Furthermore, TAT (Tourism Authority Thailand) also forecasted that the tourism revenue will be increased to 3.1 Trillion Baht in 2018. It will create more jobs and also generate more economic activity in the country. Due to these trends, it is expected that more small businesses will open in 2018 and 2019. You can start a tourist guide service both for locals as well as for foreigners. Whenever people go to travel for tourism purposes, they usually hire tourist guides in order to avoid any unexpected situations. You can provide excellent guidance services to tourists. To start this business, you’ll have to launch and SEO optimize your website so that tourists can find you through email and phone. Furthermore, you’ll also need to register your business and find a good business location where you can deal with your customers. In this business, you can choose specific tourism places and then make group tourism plans. Once your plan is finalized, you need to find people who are interested in visiting those places. It is obvious that if tourists travel to other cities in Thailand, then they will definitely opt to go to restaurants to eat food. Apart from the tourism, there is another trend popping up in Thailand which is fast food culture. People are too busy in their works and offices and they’ve no time to cook in kitchen. For this purpose, they love to order for eat fast food / junk food because it is instant available in markets. You can also start a restaurant with low investment. For this, you may need to get food license from the local food authority. In order to grow you small business, you’ll have to offer discounts and increase your sales. Foreigners usually come to Thailand for several days and they definitely need affordable apartments in hotels to live. If you’ve little to high investment, you can also open you own hotel for tourists. Apart from that, you can also lend your extra house rooms to tourists and get rental income. In order to find tourists who are looking for good and affordable rooms, you can show your rooms and hotels using Airbnb and Couch Surfing. This is not a unique business idea in Thailand but still it is a profitable niche in the country. You can open your photography business easily. To get started, you will need to buy a good DSLR Camera, a blog/website, official email and phone, and right business location. The trend of freelancing is increasing day by day. People love to become their own boss rather than working in traditional offices and doing jobs from 9 to 5. Explore yourself and think what freelancing services you offer online. Once you know which service you can offer best. Simply, go to freelancing websites, signup and start selling your skills. Initially, you may not get good response. But your hard work will definitely pay you. Top tier countries usually outsource their IT related tasks to developing countries due to low labor costs. If you are an expert in IT field and having a sound knowledge about it, you can open your IT company or software house in Thailand. When you open your company, you can offer several services to your clients such as SEO, digital marketing, web developing and designing and developing of android applications. You can get orders from local clients as well as from foreign clients in order to increase your sales. These days, a majority of Thai people love to buy products online. The increase of online shopping is increasing very fast these days. This is a good business trend and opportunity for you. To open small business in Thailand, consider this idea. With small investment you can start your own eCommerce website where you can sell your own products or you can facilitate buyers and sellers to buy and sell products online. Starting a business from scratch is very hectic. It involves lot of knowledge, experience and hard work. You also need to work very hard to develop your business and introduce in market as a good and reputable brand. You can avoid this if you buy a franchise in Thailand. First of all, you need to determine how much you’ve investment. After that, you’ll have to check, what are the franchise business opportunities in Thailand for you? Once you find a good business which is offering franchise at affordable rate, do some investment and start your business. In Thailand, it is very difficult for the foreigners who want to get/purchase land for business purpose. If you are a native and having a sound experience in real estate market, then it will easy for you handle these types of cases. Simply, start your real estate consultancy business and provide your services to local as well foreign clients in order to help them to acquire lands for their businesses. These business opportunities and small business ideas in Thailand are not the only one. 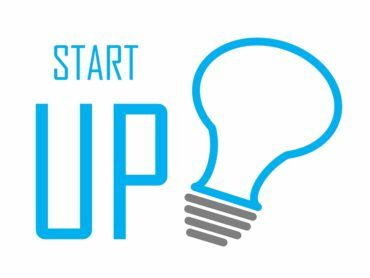 There are a lot more opportunities and startup ideas which you can start in your country. To start a successful business, you will a need a good business research and planning to execute your idea. How to start a business in Thailand?